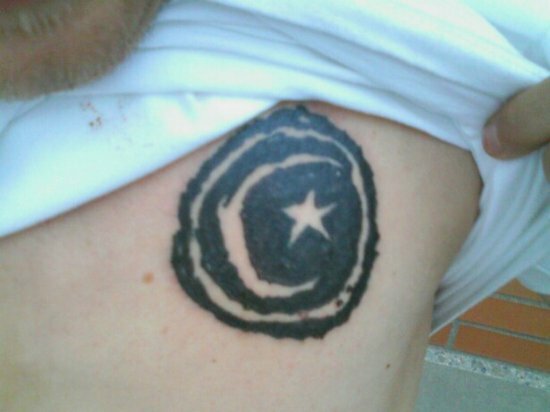 Corey will be traveling all over the world next month. This is a rare shot of Duffel taking a break. Angel is always one step ahead of the fuzz. We have this awesome admin back end for all our sites. That's how Ed and those guys are adding all the time. I forget about it sometimes. So WTF!?! Get it together Swank and post away. Whatever. Here's a couple of shots. So my girl's Mom was visiting San Diego. I was showing her how heat transfers work. I happened to pull this graphic out randomly. She is a school teacher principle from the mid west. This was the first time I met her. Ha! Angel Weirdo deck complete with bong and joint skateboard. 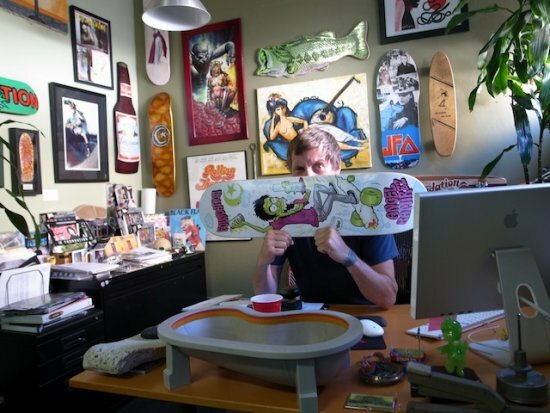 That is my desk at work and yes that is a Tech Deck Kona bowl from Del Mar Skate Ranch. 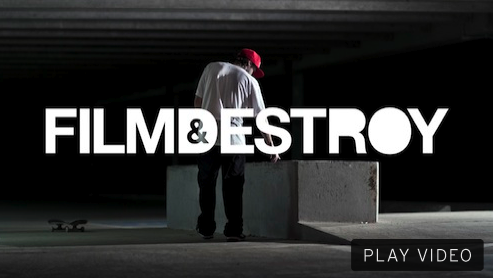 Film and Destroy is a work in progress from our friends over at Post 22. Metro Skateshop put together a rad video of Corey for their Woah of the Week. Elijah stopped by the Foundation Head Quarters and got to screen some of his own boards. Dan just arrived in China to check out the newest Woodward. 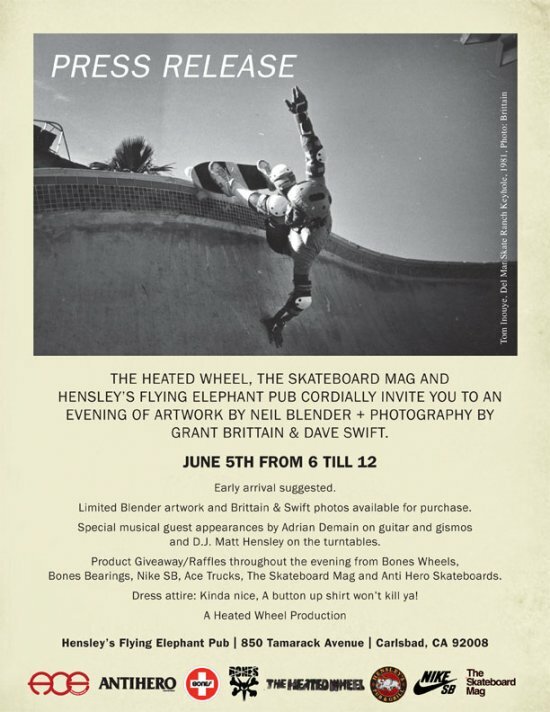 Dave Swift, Grant Brittain and Neil Blender are having a epic art and photo show at Matt Hensley's Pink Elephant Restaurant and Bar on June 5th in Carlsbad, Ca. Over 30 years of skateboarding photographs and art. Seen the new Pocket Cam? Check it! Check out Nick's slams over at TWS. Check out Sierra and Abdias shredding in Venice.